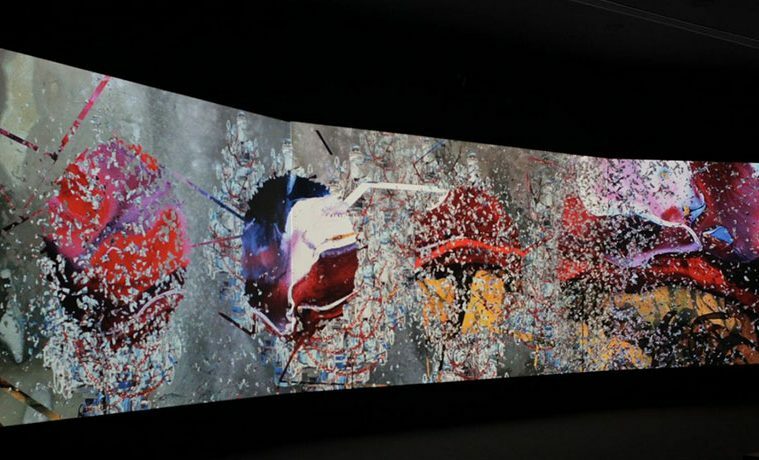 IMAGE ABOVE: Shahzia Sikander’s Parallax, 2013. 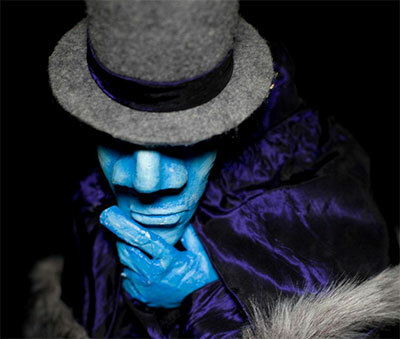 Copyright the artist, courtesy of the Linda Pace Foundation, photographer: Mark Menjivar. 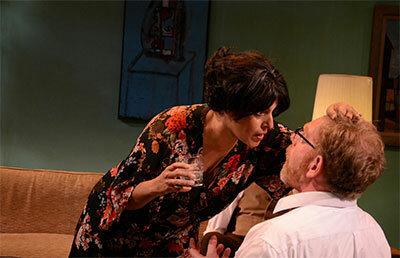 Gloria Sanchez as Martha and David Connelly as George in the AtticRep production of Edward Albee’s Who’s Afraid of Virginia Woolf?, Nov 12-23 at the Tobin Center for the Performing Arts. Photo by Siggi Ragnar. AtticRep tackles Edward Albee’s Who’s Afraid of Virginia Woolf?, Nov. 12-23 at the Carlos Alvarez Theatre in the Tobin Center for the Performing Arts. Casting is everything in this Albee classic, and AtticRep has that covered. “The chemistry between David Connelly, (George) and Gloria Sanchez, (Martha) is just perfect for this play, and it is also beautifully complimented by Tyler Keys and Sarah Nixon, playing Nick and Honey respectively,” says AtticRep’s artistic director Roberto Prestigiacomo. Woolf will also mark the very first time AtticRep will use a traditional proscenium seating. Parallax is former Artpace artist in resident Shahzia Sikander’s HD, single-image video meditation on, in the words of A+C contributor Dan Goddard, “centuries of global competition for natural resources, the history of maritime trade” and much more. It’s a beautiful shattering of the illusion of oil’s endless bounty and a new acquisition by the Linda Pace Foundation, on view at SPACE through next March. Stephen Gardner as Fermor and Alexandra Werle as Fiona in Dead White Zombies’ production of KaRaoKe MoTeL. Photo by Alisa Eykilis. There’s something innately intriguing about visiting an artist’s studio, and the longevity of Dallas’ Cedars Open Studios is a testament to that fact. The event is back Nov. 22 with nearly 50 studios and galleries open to the public. If you’ve been keeping up with recent news in the Dallas art world, the Cedars neighborhood, already home to many artists and galleries, is about to have its name put on the map in a big way thanks to some wealthy arts patrons. If you don’t already, why not get to know it before the big guys come in? 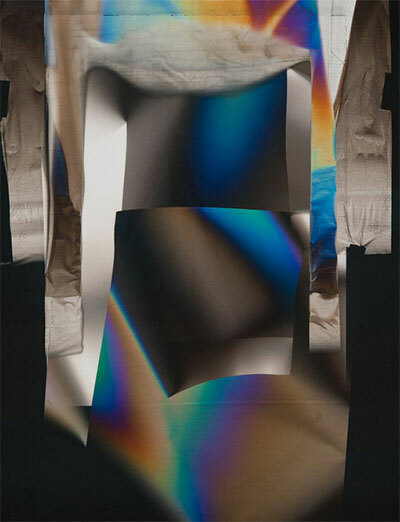 Larry Bell, R26, mixed media 41″x41″. If you know contemporary American art, you probably know Larry Bell. His decades of art making have been characterized by the study of how we experience an art object. Bell’s fascinating experiments with perception utilizing light and glass, have made him synonymous with “Light and Space” movement artists such as James Turrell and Robert Irwin. This month, Texans have opportunities to see two very different aspects of Bell’s experimentation with light and form. Through next July the Chinati Foundation is showing some of Bell’s large glass sculptures, which were installed to respond to their spot at Marfa’s Chinati. In Houston, Nicole Longnecker Gallery presents a rather rare opportunity to see Bell’s works on paper through Nov. 26. We’re always interested to see art’s application in the sphere of social practice and no-one does it better than Project Row Houses. The theme of PRH’s 41st Round, on view now, is Process+Action: An Exploration of Ideas. In the words of Public Art Director Ryan Dennis the Round, “explores the ways in which contemporary artists deal with labor-intensive practices by highlighting the artistic process, which can be both intuitive and strategic.” The first female-only Round will be on view through March 2. Trouble Puppet Theater in The Strange Case of Dr. Jekyll and Mr. Hyde. Photo by Chris Owen. 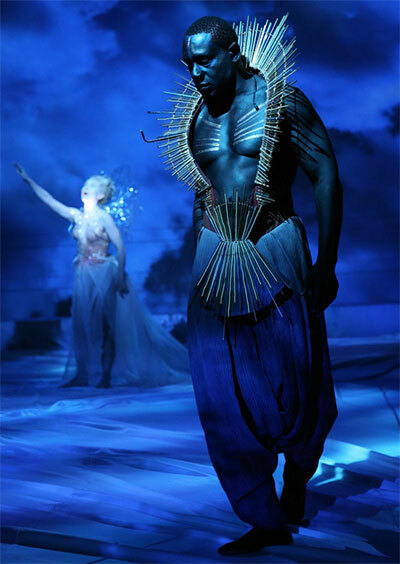 Julie Taymor’s A Midsummer Night’s Dream opens the Houston Cinema Arts Festival on Nov. 12 at MFAH. Photo courtesy of Houston Cinema Arts Festival. The 2014 Houston Cinema Arts Festival, Nov. 12-16, takes over Sundance Cinemas Houston, Museum of Fine Arts Houston, Aurora Picture Show, Rice Cinema, Miller Outdoor Theatre and other venues for five days of outstanding films, events and performances. Julie Taymor’s A Midsummer Night’s Dream opens the festival on Nov. 12 at MFAH, while James Ivory will receive the 2014 Levantine Cinema Arts Award. Other highlights include: The Imitation Game, starring Benedict Cumberbatch and Keira Knightley; The Sound and the Fury, directed by and starring James Franco, with producer Lee Caplin in attendance; Wild, directed by Jean-Marc Vallée and based on Cheryl Strayed’s memoir of hiking the Pacific Coast Trail, with Reese Witherspoon. Look out for “Cinema on the Verge,” with installations and screenings by James Nares, Ken Jacobs, Jem Cohen and Cheryl Dunn at the HCAF headquarters at The Brandon, and much more. In our November issue Seth Orion Schwaiger asks if this is the last year to see EAST, Austin’s wild studio tour in its raw and unruly form. Whether it is, or it isn’t, if you’re in Austin Nov. 15-16 or Nov. 22-23, you won’t want to miss Big Medium’s 13th East Austin Studio Tour. We’d argue it’s the biggest visual arts event on the Austin Calendar. 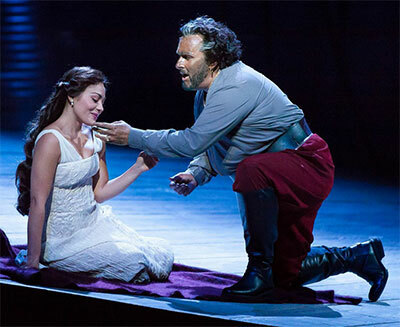 Simon O’Neill and Ailyn Perez in the Houston Grand Opera production of Otello. Photo by Lynn Lane. Houston Grand Opera opened their season with one of Verdi’s most treasured and rarely performed works, Otello, through Nov. 7. 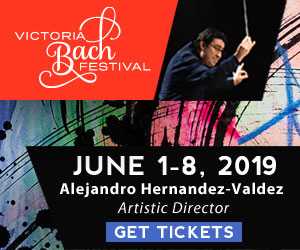 The stellar cast includes New Zealand tenor Simon O’Neill as Otello, Ailyn Perez, making her role and HGO debut as Desdemona, Marco Vratogna as Iago, along with HGO Studio alumnus Norman Reinhardt as Cassio, with Grammy-nominated mezzo Victoria Livengood, as Emilia and Morris Robinson as Lodovico. Patrick Summers conducts the production, John Cox directs, while Johan Engels’ curved stage set design is marvelously unsettling.